5.8in "iPhone 9" will be $699-$849. 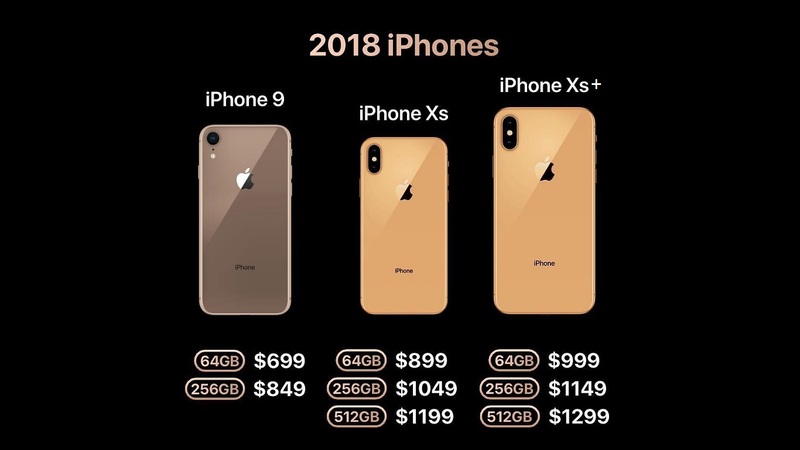 6.5in "iPhone XS Plus" will cost $999-$1,299. 6.1in "iPhone XS" LCD model will be $899-$1199.